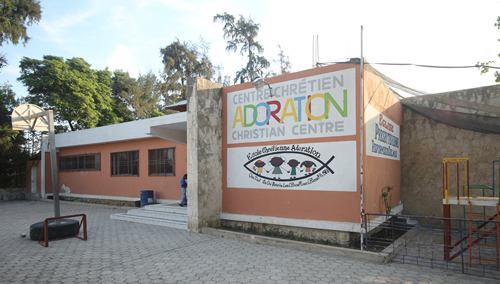 Adoration Christian Centre is a non-profit community centre that seeks to serve the community by providing help to at-risk families. Our goals are to alleviate some of the suffering that is so prevalent in Haiti, and to be an agent of development, growth and healing. Our main focus is to provide education for the poorest of the poor, to equip them to move from a position of dependence to self-sufficiency. 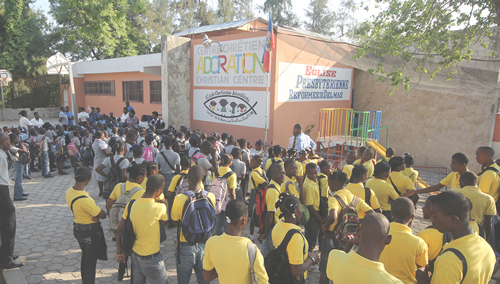 Adoration Christian School seeks to provide an opportunity for at-risk, impoverished children and youth, offering a quality, Christian education, preparing them so they can impact their churches, their communities, and the world for the glory of Jesus Christ. This is our goal: learning for serving! The end goal of their education is that the students would serve with the gifts and talents the Lord has given them; serve their families, their churches, their communities, those in need, and the world. “Success is not one big splash. You win with excellence in the ordinary.